Spring is that you?? Today finally felt like it in New York, but we all know it can’t be trusted. Every time I try to put my winter coat away the temperature drops and back to Winter we go. Well I’m determined to move on from hearty, stick-to-your-ribs dishes to bright and lovely Spring/Summertime dishes. With this mindset, I’ve seriously had blackberries on the brain lately. I recently made Sally’s Baking Addiction’s Blackberry Lemon Muffins (um, so good if you need a delicious muffin recipe) which started this blackberry kick. So ever since then, I’ve been thinking of ways to incorporate blackberries in savory dishes. Here are the fruits of that (see what I did there?)! 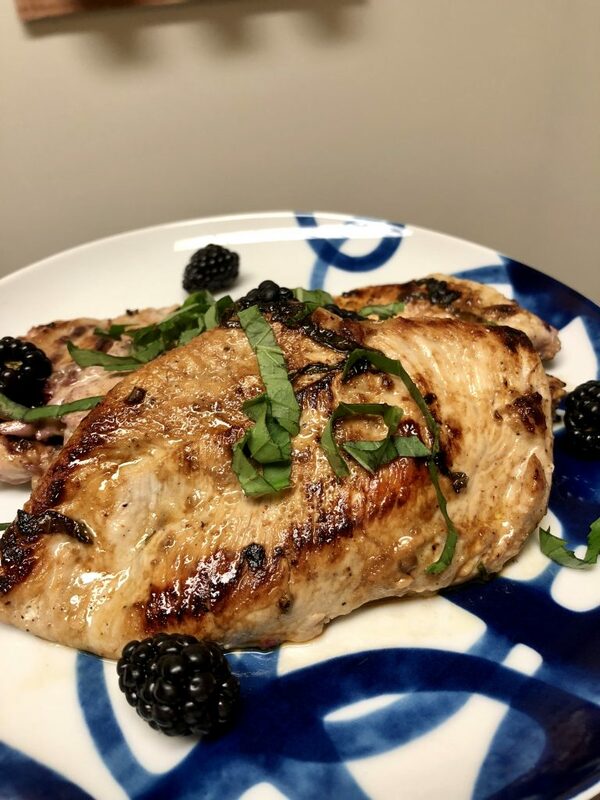 Behold, Blackberry Basil Chicken…maybe if I cook like it’s Spring, it will stick? 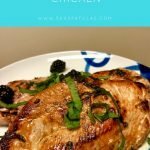 Place chicken breasts in a large ziploc bag or dish for marinating. In a small bowl, mash the blackberries with a fork. These tend to spray a bit, so you may want to wear an apron for this part. Set aside. Chiffonade the basil. 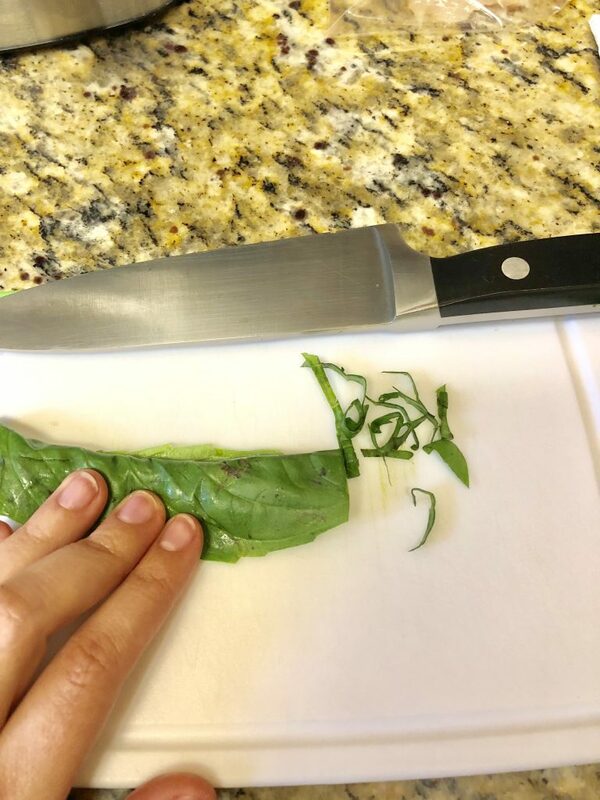 To do this, stack a few basil leaves on top of each other (facing the same way), and roll the stack like a cigar. 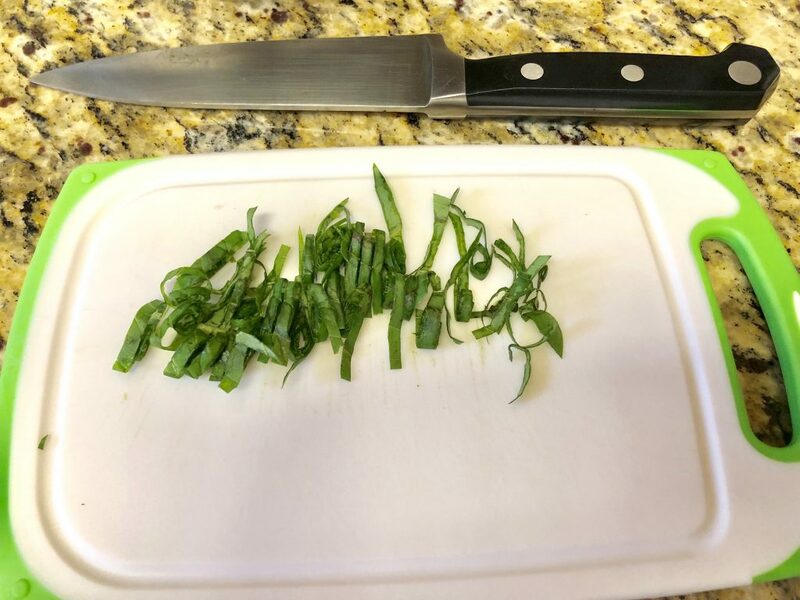 You will now have a long basil roll. Thinly slice into ribbons. 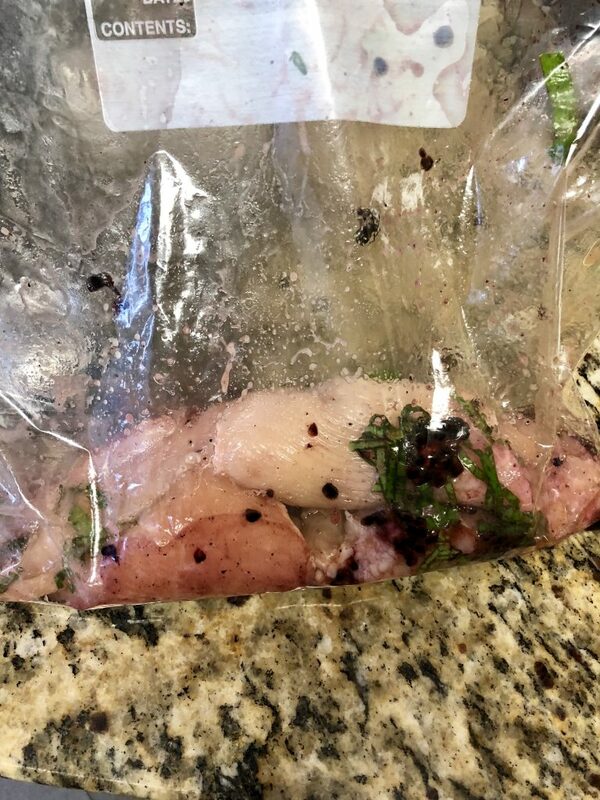 Add the lime juice, garlic, mashed blackberries, basil chiffonade, 1 tbsp olive oil, salt and pepper to the ziploc. Close the ziploc and mix all the ingredients around, so the chicken is evenly coated. When the chicken is done marinating, heat 1 tbsp olive oil in a skillet until the oil is shimmering. Add the chicken and cook approximately 2.5 minutes per side or until the internal temperature is 165 degrees. Let the cooked chicken rest on a cutting board or plate, loosely tented with aluminum foil for five minutes. This locks in the juices, without losing the heat. Garnish with additional basil and blackberries. Let Springtime begin! 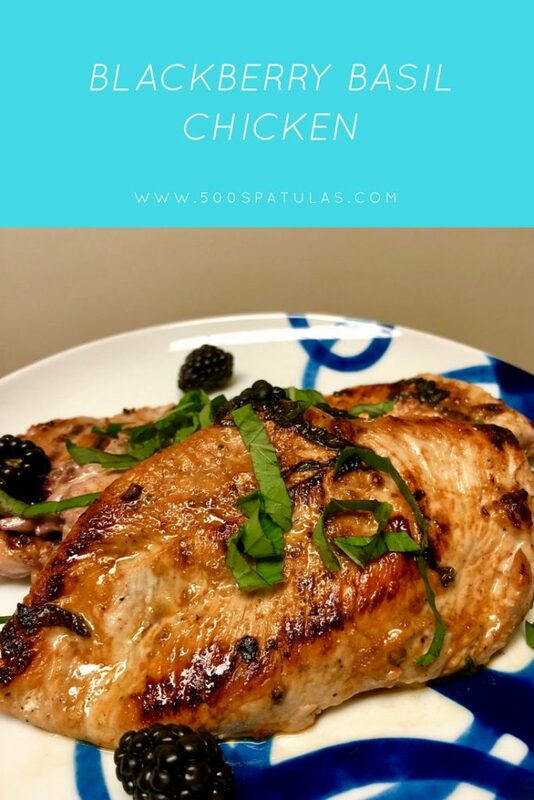 This recipe works well as an entree or you could also slice the chicken and serve it in a salad. 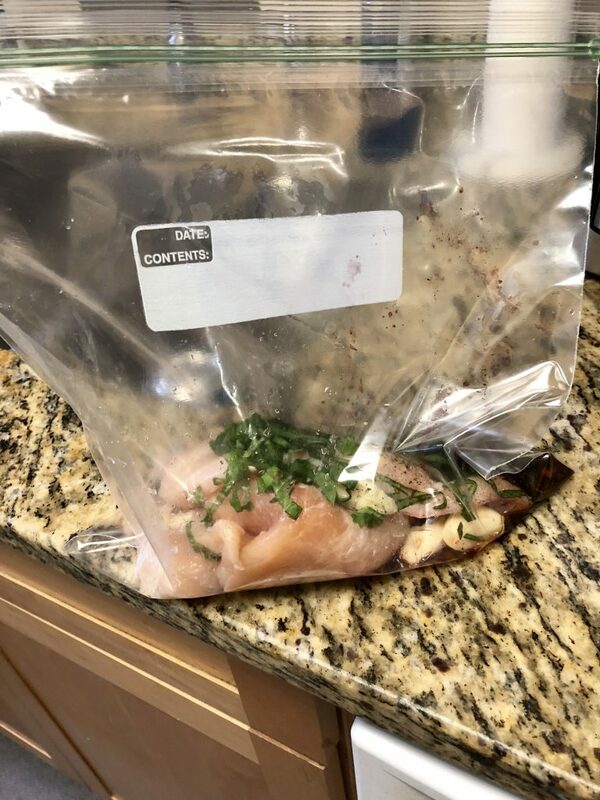 Place chicken breasts in large ziploc bag or dish for marinating. 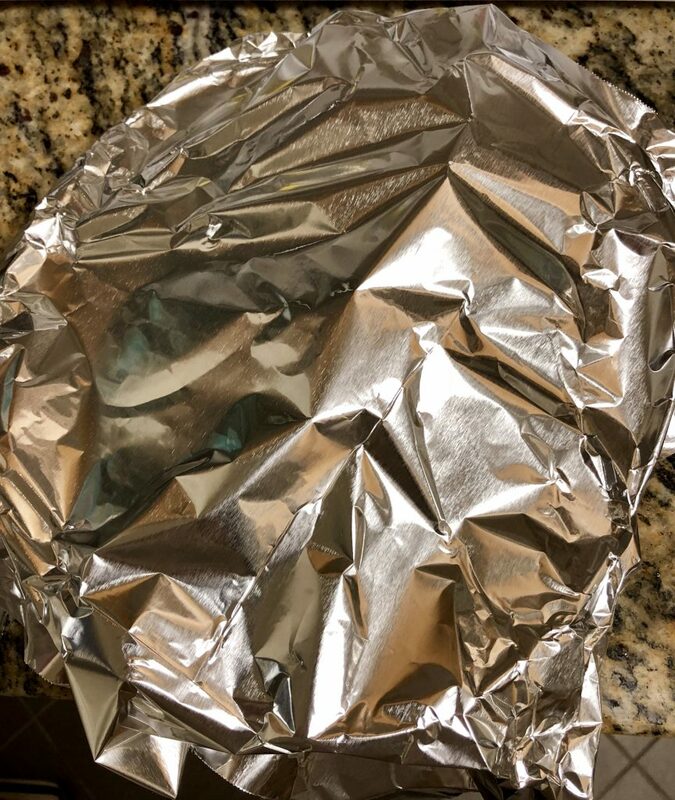 Let the cooked chicken rest on a cutting board, loosely tented with aluminum foil for five minutes. This locks in the juices, without losing the heat. Garnish with additional basil and blackberries.